Dressing up your baby and toddler has to be the most fun part of the day. From the soft material of Baby Clothing to the adorable prints and patterns, just looking at them is enough to melt your heart. The best thing is that you get to dress them however you like, though this won’t last for long! Winters can be a tricky season to dress your child, as they may not feel as cold as you are feeling. As a mom, it is but natural that you’d be extra-protective for your child and layer him up. Layering up your naughty bundle does not mean that you have to lose out on style, too! We all know the basics of dressing up our baby for winters. Layering is the way to go. However, when you are layering your child, make sure you don’t over do it. Three layers are good enough for your child. The first/ base layer should be wool, the second layer should be wool or fleece and the last layer should be an outerwear such as a water-proof jacket. Avoid cotton pants and jeans and make sure you have caps, mitts and a scarf for your child. One of the most practical and comfortable outfit for your little one is a good pair of dungarees. Traditionally, dungarees always come in denim; however they are available in corduroy and jersey as well. Corduroy and jersey are better options for winter season. From skinny style to a flared style and a whole range of colors, you have a lot to choose from. Pair the dungarees with a full-sleeves shirt in a bright color and layer with a sleeveless jacket to complete the look. Make sure your child is wearing a base layer inside. Remember you can always remove the jacket, if it gets too much. Dungarees look great with ankle-boots. Flannel Jeans and a Checkered Shirt! With winters in full throttle, flannel-lined jeans with a ribbed waist are surely going to keep your baby warm. A base layer of either a sleeveless or full-sleeves body-suit will ensure that the chest and back remain covered. Pair the jeans with a red-checkered shirt and a fur-trimmed, sleeveless jacket in dark blue. Since we have introduced fur in the jacket, Sherpa-lined ankle boots will look absolutely cool and complete the look. Make sure you have a pair of mitts! Denim is never out of fashion, but as we mentioned earlier, denim does not necessarily keep your child warm. So opt for fleece-lined denim jeans and a jacket. Pair it with a colorful striped, full-sleeves T-shirt and a scarf! A beanie in dark blue or matching striped pattern will give an extra oomph to the outfit, besides covering your little one’s head! Denim always looks great with tennis shoes, but make sure your child is wearing warm socks with it! A winter is about warm colors and it is no surprise that khaki pants make our list of trendy winter outfits. Khaki pants generally come in cotton, but for winters we have the option of corduroy. Corduroy khakis may look dull for winters, but you can warm them up with full-sleeves rust colored t-shirt and then pair it off with an olive-colored jacket. Add a scarf and a beanie to complete the look. Ankle-boots in a darker shade will further enhance the khaki color. We all know that it is winters and it will be quite cold, but that doesn’t mean your little man can’t take a fashion risk. Layering is the key to this look. First of all, make sure there is a warm base layer and the chest is completely protected. A thermal in neutral color will work just as fine. Opt for a checkered button down shirt and don’t button it. Layer it with a warm button-down sweater in a color that goes with the shirt. Keep the buttons open. Pair it with flannel-lined denim jeans, a scarf tied loosely around the neck and hiker boots. Read More - How to Reinvent Your Style with Indo-Western Wear? It is never easy to dress up an active toddler in a bow and tie, so we have come up with a smart- casual look for your little man. All you need is pair of pants in a neutral color and mix and match with a checkered shirt and a full-sleeves sweater. When you put on the sweater, make sure, you turn up the sleeves of the sweater, a little bit, to give a glimpse of the checkered shirt. The collar and hem of the shirt should be exposed. Pair the outfit with duck boots to complete this look! 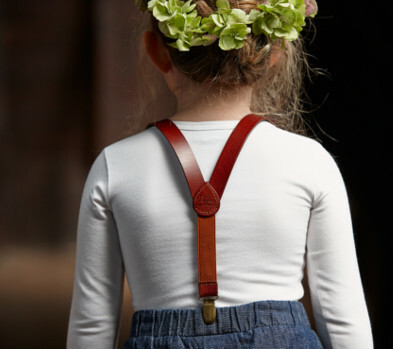 Dressing up is Always Fun and More So, if it is Your Little One! So have Fun Styling him for Winters!